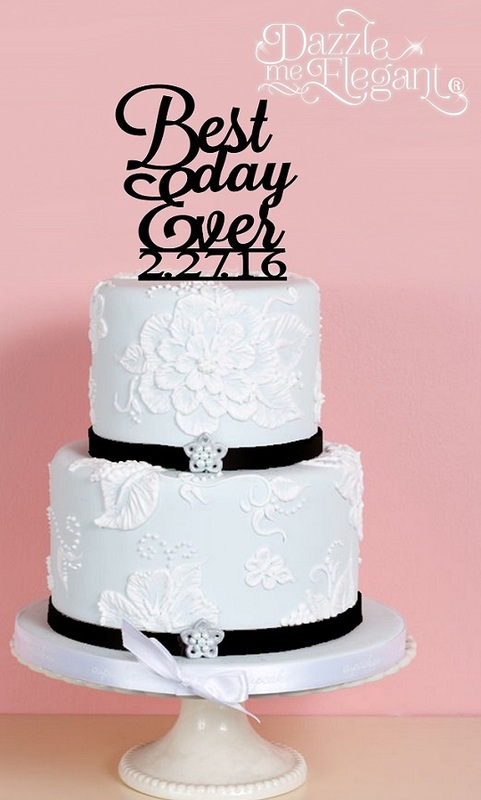 Best Day Ever with Date wedding cake topper - it is going to be one of your best days of your life! Want to add crystals? Contact Us for a quote.